Intermittent fasting (IF) is a growing topic in the health and weight loss communities, but why? Simply put – it works. Many people are discovering the long list of benefits to this form of fasting, and not just those looking to lose weight. While that is definitely one of the top health benefits of intermittent fasting, you will find many other advantages to this lifestyle as well. Yo-yo dieting is not only not conducive to successful weight loss, but it can actually be harmful to your body. Too many changes in short periods of time can lead to many issues with digestion, weight gain, and abdominal pain, so you want to stick one method and keep with it. The reason why so many people are having success with intermittent fasting is because of how simple it is. 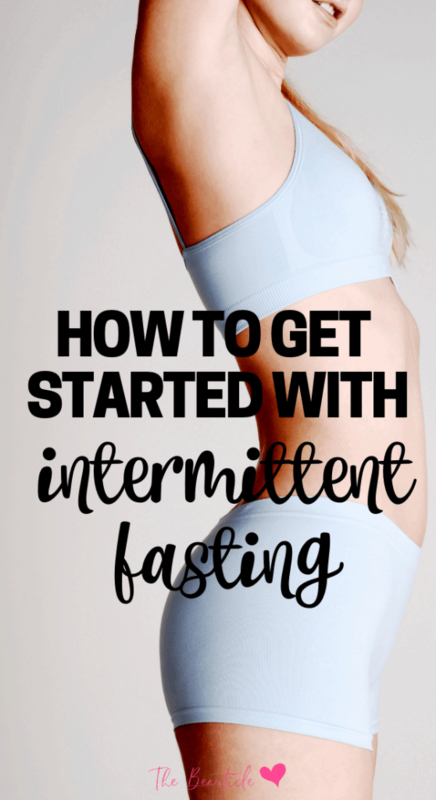 You just have to pick one method of intermittent fasting and stick with it, eating healthy and moderately during the eating periods, and fasting during the other hours of the day. It really doesn’t get much easier than that. Moving beyond helping you to lose weight or burn fat, intermittent fasting it also efficient at controlling your blood sugar levels. When you do intermittent fasting over a prolonged period of time, and do it the right way, you can start increasing your insulin resistance and lowering your blood glucose levels naturally. When you do this, you just might help to treat your type 2 diabetes, or avoid diabetes if you were in the high-risk category. There have been animal studies on intermittent fasting and how it can have a positive effect on your cognitive health, which helps to promote brain and memory functions. You can actually reduce your risk for brain-related illnesses like dementia and Alzheimer’s disease with both a healthy diet, and diets like intermittent fasting. Studies were performed at the Laboratory of Neurosciences at the National Institute of Aging on this very subject. Since intermittent fasting takes away overeating and requires you to really be conscious when you do eat, it can help tremendously with your overall health. Nutritious foods provide so many amazing health benefits, for your weight, heart health, cholesterol, even your bones. eating phases, so it can help you to learn to eat better overall. Before you get started with intermittent fasting, it helps to have a better understanding of how it works, and what you should or should not to. The following list includes some do’s and don’ts that help you to avoid some of the more common mistakes people make. Make sure you are not going into intermittent fasting without planning ahead of time, and without really researching different types of IF. You might want to transition into it slowly, such as doing the 16/8 type of IF a couple of days per week instead of every day, or trying to fast just 12 hours at first, then gradually working your way up to 16 hours. Intermittent fasting can be hard on your body at first, especially if you are used to eating 6-8 small meals throughout the day. This is another reason why you might do better transitioning to eating less meals during the day, then switching up the hours til you are following an intermittent fasting regimen. If you feel like you are faint from going too long without eating, then it is time to re-think the type of IF you are following. accept the fact that it isn’t a good one for you. This is one of the bigger mistakes people make when they first start intermittent fasting. You might find that during the short window when you can eat, all you want to do is binge eat and go for anything you can get your hands on. This is the absolute wrong way to fast. should eat the same healthy foods you normally would, just during a shorter eating window. Make sure you are staying hydrated while you are fasting. People often forget to drink water just because they are fasting and can’t consume food or drinks with calories in them. You should also avoid any drinks that might cause you to become dehydrated, like diet sodas. While technically they are allowed, they are not recommended. Related: 12 Tips for Starting the Keto Diet Today! While you do want to be sure you are waiting for the appropriate amount of time while fasting, don’t let it take over your life. You want to develop a different mindset with food and how often you should eat, so try to just set a timer on your phone to go off when it’s time to eat again. This is helpful when you are still in the planning stage and trying to figure out which intermittent fasting type is right for you. You shouldn’t choose an IF type just because your friends are doing it, or you want to try the most extreme. You really need to be practical about it, looking at your current schedule. If there is no way you can have all your meals in just 8 hours because of an erratic schedule, then the 16:8 IF type is not for you. On the other hand, if you know you can’t do 24 hours with no eating, then it might be right for you. Think about your preferences, schedule, and whether or not it will affect others you live with when deciding which one is going to be the best fit. This makes that transition much easier to handle. This is really important because it can make or break your intermittent fasting transition. If you are doing IF along with a new way of eating, like Keto or a low-calorie diet, you need to try the diet first. Your body needs time to adjust to new foods and meals, whether you are cutting out meat on a vegetarian diet or you are reducing your carbs dramatically. Try to stick to your new diet for 1-2 weeks, then add in intermittent fasting. This will make the transition go much more smoothly. Intermittent fasting can benefit you in many ways, particularly with burning more fat and losing weight, but you shouldn’t just jump in with both feet. Many people struggle to start right away and do better with a slower transition. Take a look at these tips for getting into intermittent fasting at a slower pace for long-term success.